Logesh Kumaraguru soft and brilliant young man is one of InFI’s star performer in Web Application Developers program initiated for ZANEC in 2010. Logesh graduated from Hindustan College of Engineering in 2009, undergone computer training in leading institutes before coming to InFI for a career break. He was inducted into Java application development team, a program exclusively designed and executed for ZANEC. Logesh and the team was mentored in Apache-Tomcat 5.5, Liferay 5.2.3, JSP, Struts, My SQL, OpenMRS API and later deployed on HealthNet project. His skills include MySQL, MS-Access, NetBeans and Eclipse. The team was mentored by PV, Maha and Selvaraj in Technical, Communication and Software Professional skills. Logesh, was transformed to be a Web Application developer in Health-Care domain, and got employed at ZANEC as Software Engineer Trainee. Since then he successfully completed numerous projects both onsite and offshore. Congratulations on completing 4 years in IT industry at ZANEC. Logesh can be reached logeshwaran.mca@gmail.com for guidance and help to be a successful developer in IT industry. RakeshPrabhu C, cool and committed graduate of D.G.Vaishnav is one of the most matured individual transformed to be a professional dotnet developer for ZANEC in 2010 by InFI. InFI identified and assembled a six member team in April 2010. Rakesh is one of the team member who brought expertise and leadership to the team. The team was mentored by Microsoft dotnet expert Jameer. Communication, general personality and professional skills were mentored by Maha for about four months. InFI’s mentoring and administrative teams were guided and directed by PV for effective learning and efficient program execution. Rakesh’s interest in Application development particularly MS Web platform coupled with mentors’ expertise resulted in making an experienced professional who was deployed on a project in ZANEC immediately. Rakesh had contributed immensely to projects and teams at ZANEC for two years until 2012, then moved onto Conginzent Technologies as programmer analyst. He currently holds the position of associate at Cognizent. Rakesh can be reached rakeshprabhu.c@gmail.com for guidance and help to be a successful developer in Microsoft Web technologies. 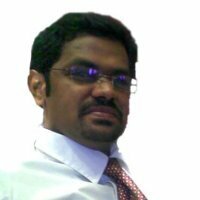 Sanmuganand Selvaraj, MBA Marketing and finance postgraduate – successfully transformed to play business analyst role and got the career break into IT industry, with the InFI mentoring program. Sanmuganand walked into InFI in Aug 2011 and discussed his career plan and asked for our expert opinion . InFI was just planning to create a team of entry level ERP and Business Analyst professionals for it’s multinational customers who have their own products. InFI gathered ambitious youngsters from different backgrounds and mentored them on basic ERP functionality and the role of a Business Analyst in general. All the team members were given business finance domain knowledge to understand the functionality of the Enterprise Applications like RODE, Orion, SAP and KASTLE Lending system. Sanmuganand was picked-up by 3I to support KASTLE implementation as a business analyst. His work was appreciated by the product and business heads of 3I, for his thoroughness in product and the subdomain of fiancé lending. He successfully completed his assignment in 3I and moved on. 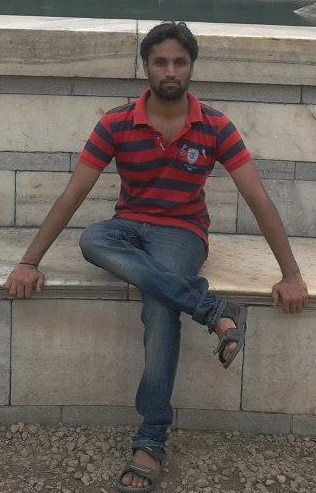 He is currently working for as Business Analyst for a Telecom product manufacturer; InFI wishes him great career in IT. He may be contacted at sanmuganand@gmail.com for career guidance. Another success story from Web2 team; InFI’s maiden professional development program launched in Dec 2008. Web2 team was exclusively gathered and mentored for ZANEC’s Microsoft Technology practice to strengthen it’s Web2.0 offerings. Srinivasula Reddy Idamakanti, a member of the Web2 team, worked hard followed and learnt from his mentors and gained 2 years equivalent experience in just 4 months. He was mentored by Vignesh, PV and Meena supported by Sharmila and Venkat. He had proved his expertise at ZANEC as a trainee for few months and confirmed as Software Engineer Trainee after that. 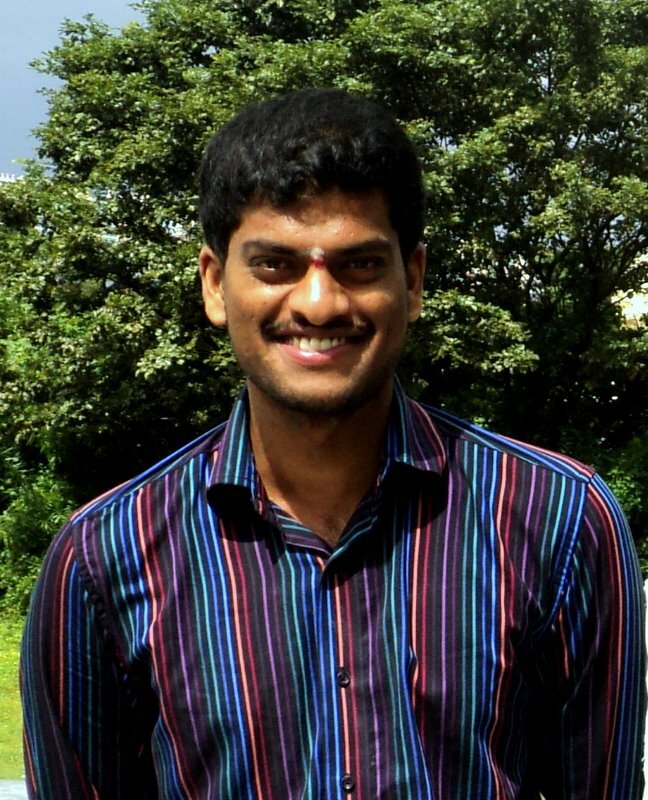 Srini moved to Hyderabad to join Infosys as Sr.Systems Engineer. InFI congratulates Srini on completing two years of work at Infosys Hyderabad. 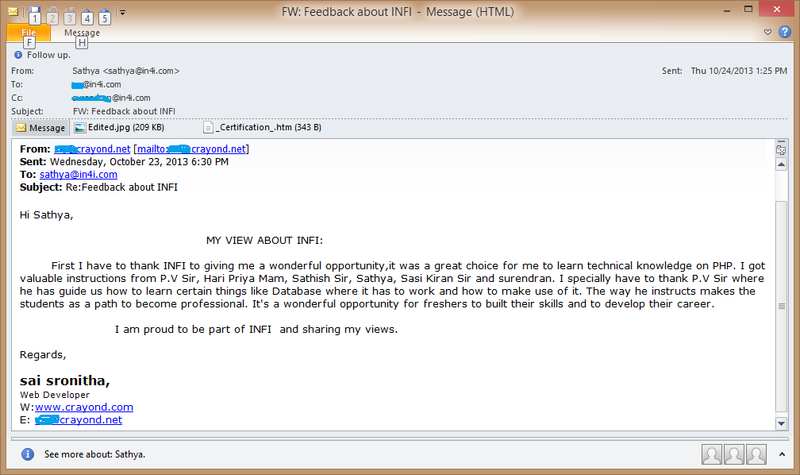 InFI is happy to mentor many more freshers like Srini to help them kick-start their career in IT and non-IT industries. InFI is committed to provide ready to deploy work force to partner companies, by developing entry level professionals, who are struggling to find skilled workforce. Srini can be reached at tsreenu.reddy@gmail.com to learn from his success or guidance. InFI’s another successful transformation story of a fresher to a professional Business Application Developer. 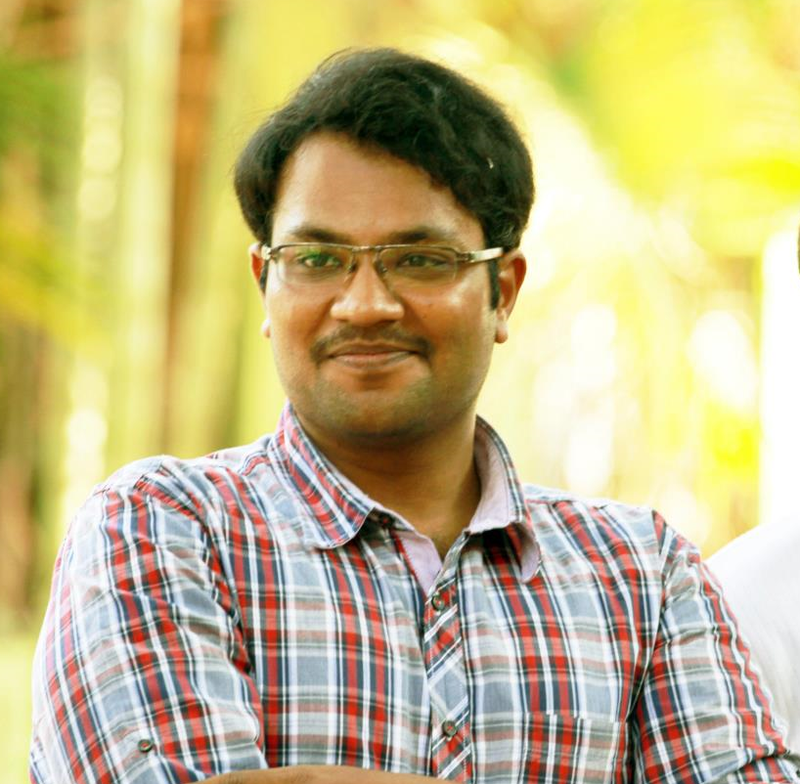 Aravinthan Krishnan, a Computer Science and Engineering graduate was selected and mentored at InFI by Asmitha and Maha on technology, personality and communications, with support and cooperation of Sathya , Sasi, Rijil, and PV. The program lasted for three months during fall 2011. InFI’s sustained and whole some development of software professional including personality and technical skills transformed Aravinthan from a college fresher to a productive developer. 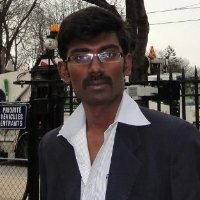 He is currently working as a developer at Cognizant Technology Solutions in Chennai. Aravinthan, a dynamic extravert with positive attitude was a member of InFI’s 5th batch D2K team of Oracle D2K technology, exclusively mentored for 3I Infotech. He made the whole team participate in learning process and collaborating on various activities at InFI. Aravinthan has developed expertise on Smartphone Technology apart from generic web skills like SQL, Oracle PL/SQL, HTML 5, and C. He had used IDE like eclipse and Oracle Developer Studio. 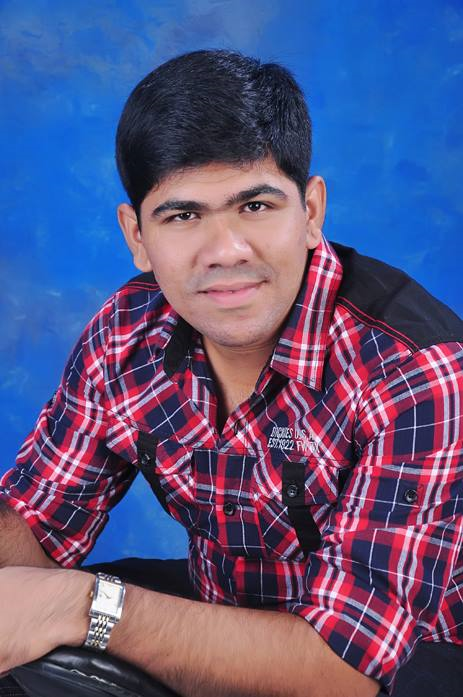 InFI wishes Aravinthan continued success in his career as Software Engineer. He can be reached at aravinthancse@gmail.com for help to become an IT Professional developer. 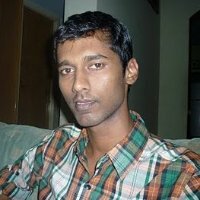 Sai Sronitha G; ambitious, positive and hardworking engineering graduate of 2012 batch is part of InFI’s first Open source applications development team, mentored for ZANEC and Crayon’d during first quarter of 2013. Sronitha’s software development skills and Open source application development expertise has earned her a position on Crayon’D project team as Software Engineer. She has already worked on important software development projects. InFI is confident Sronitha will exceed expectations of her employers and build a great career for herself in IT industry. 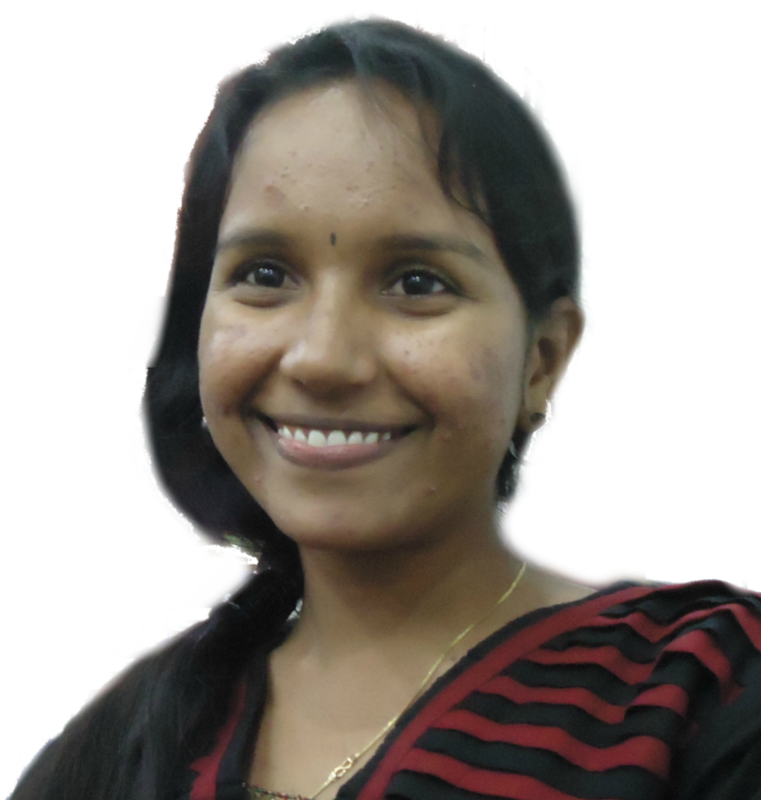 InFI wishes Sronitha a great career in IT industry. Sai Sronitha can be reached at sronitha.sai@gmail.com for career guidance and technology help.